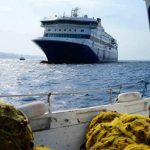 The 146 meter long, 2775 dwt ro-ro passenger ferry Blue Star Patmos ran aground on the Aegean Sea off Ios, Greece. 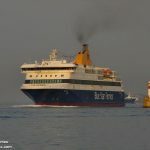 The ferry was entering the port with 205 passengers, 33 vehicles and 44 crew when it grounded just offshore. 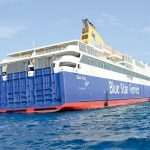 The Blue Star Patmos sustained hull damage and water ingress, but the vessel’s pumps were able to control the flooding. No reports of injuries. 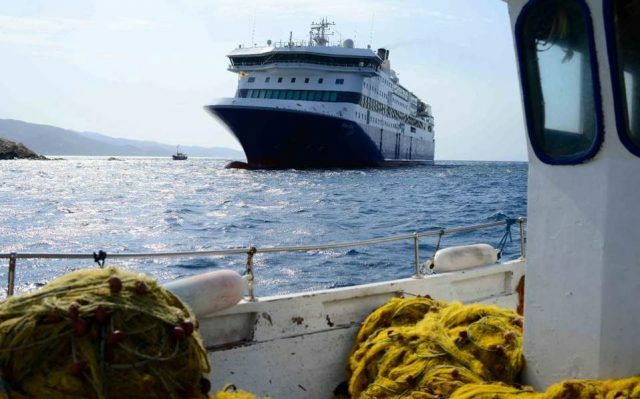 All passengers were safely transferred ashore. Authorities were contacted and divers were requested to survey the hull to assess the extent of damage. No reports of pollution.